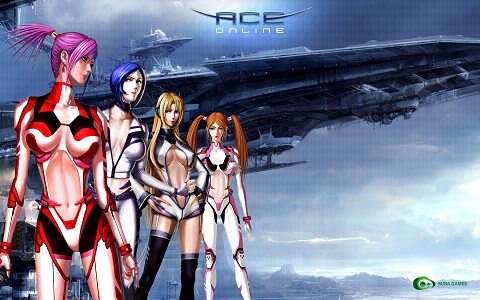 ACE Online is a popular 3D Online Space Shooter, players fly ships known as gears throughout space and engage in action based combat focused on realtime twitch based flight combat. To continue the conflict, the devs have released the Episode 3.5 Update known as Infinity Field 3. A new instance has been revealed consisting of a Player Vs Monster (PvM) event in which players can complete once a day. To celebrate the release of the new update players will receive a x4 xp bonus and upon remaining logged in to the game for a certain time, players will receive a reward to complete IF3 twice a day. The Shrine army has devised a plan to attack the mothership Osiris, it is up to players to defend the Osiris and attack the new Shrine amry warship known only as SHADE. Four new monsters await the counter-attack, Caim, Andras, Berith and Eligor await any player who dares oppose the Shrine army. Completing the Infinity Field 3 event will give players the chance to receive boss armor inspired by Caim, Andras, Berith and Eligor themselves. Only gear pilots who can bring their A game will be able to claim these armors for their very own. Visit the ACE Online game page to find out more!